Indiana Safety and Health, Inc. (ISHI) is an organization that provides training in CPR, First Aid, AED, Universal Precautions, and other OSHA compliant classes. We are committed to providing the best training possible! Over 300,000 Americans die of cardiac arrest each year. That is where our mission begins and ends: with saving lives. This is done by creating training programs that increase the amount of information remembered, are easily available, and give providers the confidence to act decisively and knowledgeably when an emergency occurs. Indiana Safety and Health, Inc. offers this while limiting the time professionals spend away from family or work. As instructors in First Aid & CPR, we know the importance of starting good and effective emergency care as soon as possible. The training you will receive will enable you to do just that. Indiana Safety and Health was created in response to the growing demand for an organization that provides effective CPR training. Our priority is to deliver high quality, affordable, CPR and First Aid training to any audience who needs/wants a class stress free and with a smile! We solve large-scale workplace problems by replacing old methods of training with new, cost effective methods of training. We continuously update our materials and make sure our instructors have the experience and knowledge to pass on to the classroom setting. ​​If your business is in Marion County, we will come out to your site during the week as long as there are 10 or more students. We can always come out for less students, but have to charge the minimum fee. Our weekend classes have a 15 person minimum. For classes outside these areas call for details. We customize training's all over the State of Indiana! We also have classes that are open to the public. These classes are good for individuals and smaller groups that want to come to us. There is no minimum for these classes. ​Our Instructors have REAL-WORLD experience. All of our Primary Instructors Are Firefighters/EMT's or Paramedics. Would you take flight lessons from someone that has never flown before? What about a driver's education class from someone that has never driven? Why take a CPR class from someone that does not have the practical experience or knowledge to pass onto the classroom? Some competitors offer gimmicks like a free pen, but few offer REAL-WORLD experienced instructors. Our Instructors are Firefighters, EMT's, and Paramedics. Instructors have over 40 years combined teaching experience! Instructors make learning fun, exciting, and easy to understand. Certification cards are issued the day of training. 100% MONEY BACK GUARANTEE on successful completion. If you don't pass, we'll refund your payment! Our CPR card is good for two years instead of one. Enhanced CPR and First Aid Certification Cards include Learning Links and Digital Downloads to supplement the class. 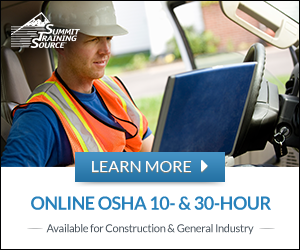 ​ISHI will work with your company to provide training around your schedule; day or night, week or weekend. ISHI programs are flexible to meet specific industry needs without compromising the overall learning and certification process. ISHI prices are very competitive. Your company can save up to $20 per person on our CPR/First Aid Course alone! This savings translates into being able to train more people and is easier on the budget. There are no hidden fees. Books and materials are all included. Our classes meet State licensing requirements for Child Cares, Foster Parents, Teachers, and many more. ​Now Indiana Safety and Health issues Enhanced CPR and First Aid Certification Cards. These cards will come with a unique code that will allow students access to Digital Student Handbooks and Learning Links. With this code, students can register to receive Learning Links emails throughout their certification period. Learning Links are brief, web-based segments that review emergency care topics covered during their class, helping them to retain their readiness to respond to an illness, injury, or medical emergency. A student handbook will still be issued for all classes. Again, we issue cards on the day of training after payment is received. Unlike some competitors we won't tell you that we hope to give you the cards on the same day. Also, some companies offer to provide you a "letter" of certification UNTIL your cards arrive. At Indiana Safety and Health, you get your cards on time, every time! Expect better results and less excuses! We offer a 100% MONEY BACK GUARANTEE. If you don't pass, we'll refund your payment. ​If you are looking for an experienced and reliable company that provides training in CPR, AED, First Aid, and Bloodborne Pathogens, look no further, Indiana Safety and Health, Inc. is here for you. "For once, a class taught by people that have actually done CPR! I feel like this is my FIRST CPR class I have taken in which the Instructors were not only knowledgeable, but had the experience as well. I will NEVER go somewhere else for my classes." E​xcellent and fun! I enjoyed the course. Both instructors were great with delivery and there was enough humor to keep me awake! Thanks for making this enjoyable and not boring..... Thanks for taking the fear out of me. it was a blessing! ​I like the fact that the instructors paused to demonstrate each guideline for child and infant instead of going straight through and expecting us to remember it all. ​I felt like the class was very useful. I enjoyed Al and Bob and their technique of teaching... They weren't boring... Great! ​Very informative lecture, kept an even pace without rushing. Gave plenty of time for questions and didn't seem to mind repeating any information. We had plenty of mannequins to practice on, no one had to wait. I think the seminar was informative, it answered a lot of my questions. Being a mother of a five year old little boy this helps me to know what to do in case of an emergency. ​Great new/revised procedures. Really simplified. Great practice lecture and lots of practice and demonstration. Mannequins were clean and easy to use. Skill evaluation was thorough and non-threatening. Wonderful customer service on Bob and Allen's part. We would be interested in using your company for orientation procedures on a regular basis. ​Great instructors. Spoke clearly. Very easy to understand. Glad we had the opportunity to see actual people perform CPR, then actually do it ourselves, instead of hearing about it and watching videos. I'm glad we had to be checked off for proper implementation of everything. Great course, well worth the money!